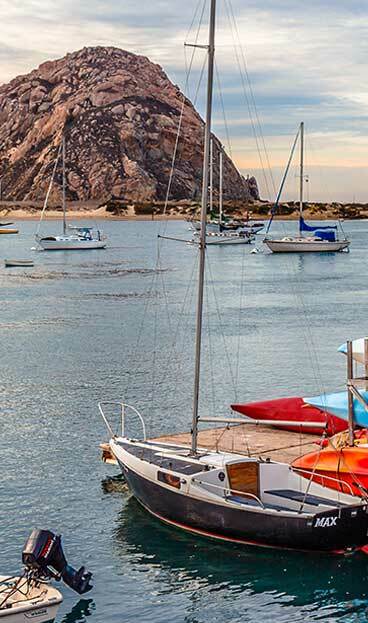 Morro Bay makes it easy to bike around town, with miles of beach, trails, paths and designated bike lanes there’s every reason to take that leisurely two-wheel ride and leave your car keys in the room. Looking for more challenging routes? Highway 1 offers unparalleled views along a climbing road. There are also many day trips accessible from Morro Bay, making it a great place for your home base as you bike in and out of town. Don’t worry if you aren’t able to pack your bicycle you can rent one once you arrive.